This is a super cute colourful children's raincoat for those rainy days! Let your children enjoy those rainy days in this super stylish raincoat with a striped jersey lining, which can be personalised with a name. 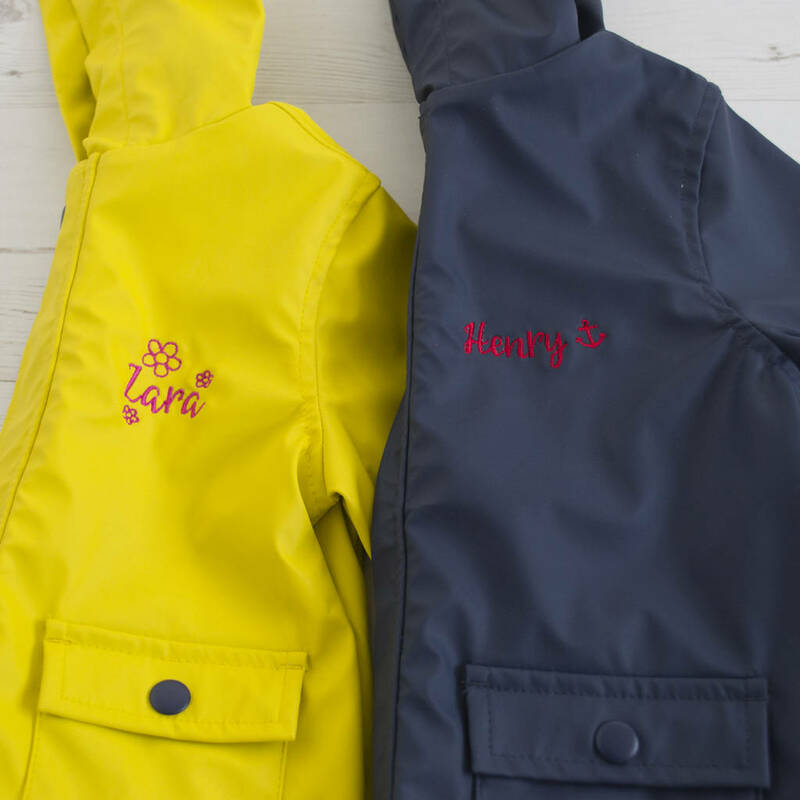 These bright fun rain coats are perfect for april showers and splashing in puddles in style. A perfect gift for birthdays, holidays or for starting back at school. The coat is embroidered with flowers for girls and an sailors anchor for a boy. 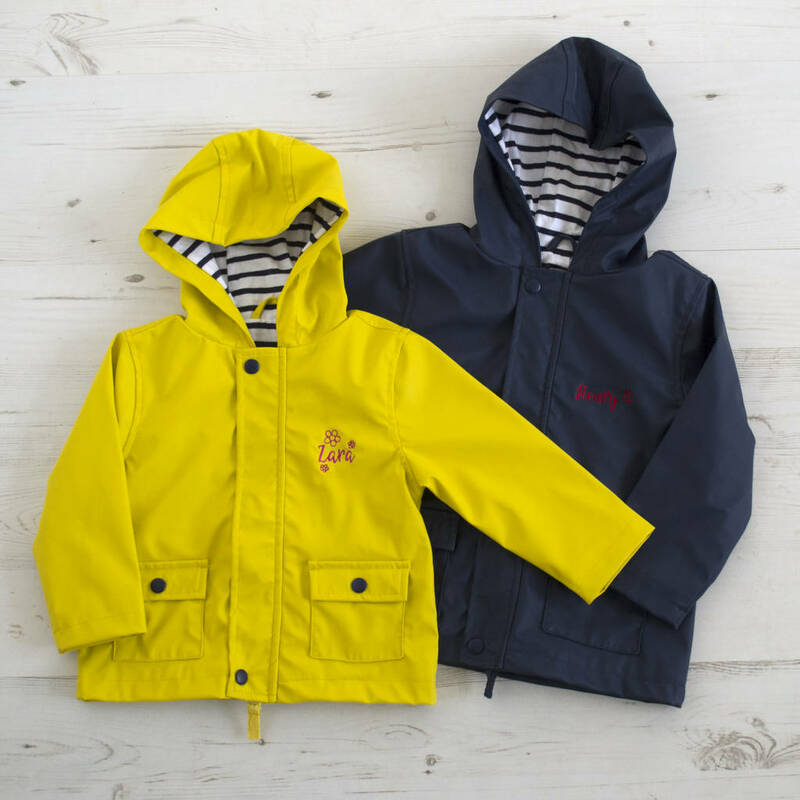 The raincoats are available in yellow and navy blue. 6/12mths 18/19" 12/18mths 19/19.5" 18/24mths 19.5/20" 24/36mths 20.5/21" 3/4yrs 22"